I know I have put this photo here before but it is the one they used for the article so it seemed to make sence to put it here again. 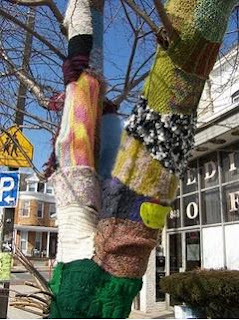 It is about a couple of my favourite things, yarn and Balitmore. If you read the rest of my blog you will know that my partner and I have been to Baltimore twice and I also sell in a shop there called Doubledutch. I love it there so it is so nice to see my photo and nice comments about this blog as well as my work in an article about the place.